Special thanks to guest Michael Volpe, John Swietczak, Ivan Tomic, and Michael McGann. Thank you for the nice and kind words Michael Volpe of Thee Provocateur. http://theeprovocateur.blogspot.com/2009/10/half-hour-with-two-chicago.html On October 2, 2009, we had a great day at Can-TV. Thank you to our famous host Judge Burrell and Cook County Clerk Dorothy Brown. Special Thanks to Tom Morris, John Swietczak, and Saul Charak. Thanks to Charles Walker and Joe Yost. Thanks to our friends at CAN-TV. A Super Big thanks to Ivan Tomic and Michael McGann helping to pay the freight. Thanks to all the talent for our new show, Mayor Daley’s 11TH Ward Orchestra Tryouts. Thanks to the guys in the control room. The Chicago Clout Shows help make educate voters.Our fun shows help us keep sane at work. We have a large staff of people and hope to have more shows soon. Enjoy. 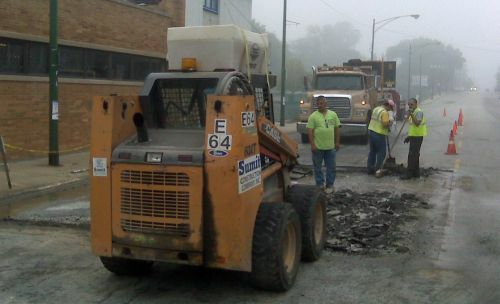 Chicago City workers Starve, Daley&apos;s Contractor Goons working Overtime Today. Chicago Clout "No Games Chicago Video"